A leading player in the construction industry, we are committed to creating a better built environment through sustainable approaches. We produce and supply a range of construction materials including aggregates, asphalt, ready-mixed concrete and blocks. We also import and supply cement materials and offer national road surfacing/contracting services. There are no jobs with Aggregate Industries at the moment. Sign up to email alerts below to get notified when new jobs are added. 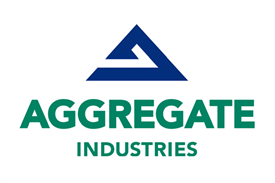 Get the latest jobs from Aggregate Industries sent direct to your inbox!